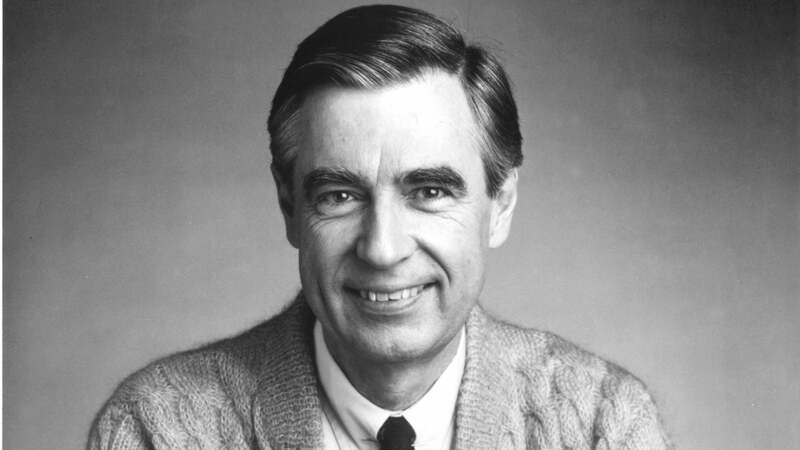 With this year marking the 50th anniversary of Mister Rogers' Neighbourhood, along with the US release of the new documentary Won't You Be My Neighbour? this past weekend, we're hearing facts about children's television icon Fred Rogers that reveal just how much care he put into everything he did. Like how he would narrate himself feeding his fish on the show because a blind girl mentioned in a letter that she worried the fish were hungry (Chrissy Teigen's tweet of this tidbit made the internet collectively clutch its cold heart). And how he responded to every fan who had taken the time to write to him (he'd receive between 50 and 100 letters each day). And how he made sure the entire Mister Rogers catalogue remained as current as possible, even if it meant revisiting an old episode, putting on the same clothes and reshooting a new insert because he had gotten a pronoun wrong the first time. No doubt, Rogers also put an extraordinary amount of care into the words he used with children. In an adapted excerpt from the forthcoming book The Good Neighbour: The Life and Work of Fred Rogers, published in The Atlantic, author Maxwell King shared the contents of an illustrated manual that two of the show's writers created in 1977 for fun. "Let's Talk About Freddish", by Arthur Greenwald and Barry Head, was a playful, gently satirical guide to "the demanding process of getting all the words just right for Rogers". 1. "State the idea you wish to express as clearly as possible, and in terms preschoolers can understand." Example: It is dangerous to play in the street. 2. "Rephrase in a positive manner," as in It is good to play where it is safe. 3. "Rephrase the idea, bearing in mind that preschoolers cannot yet make subtle distinctions and need to be redirected to authorities they trust." As in, Ask your parents where it is safe to play. 4. "Rephrase your idea to eliminate all elements that could be considered prescriptive, directive, or instructive." In the example, that would mean getting rid of "ask": Your parents will tell you where it is safe to play. 5. "Rephrase any element that suggests certainty." That would be "will": Your parents can tell you where it is safe to play. 6. "Rephrase your idea to eliminate any element that may not apply to all children." Not all children know their parents, so: Your favourite grown-ups can tell you where it is safe to play. 7. "Add a simple motivational idea that gives preschoolers a reason to follow your advice." Perhaps: Your favourite grown-ups can tell you where it is safe to play. It is good to listen to them. 8. "Rephrase your new statement, repeating the first step." "Good" represents a value judgment, so: Your favourite grown-ups can tell you where it is safe to play. It is important to try to listen to them. 9. "Rephrase your idea a final time, relating it to some phase of development a preschooler can understand." Maybe: Your favourite grown-ups can tell you where it is safe to play. It is important to try to listen to them, and listening is an important part of growing. What I love about the instructions is that they start with the basic premise that kids are complex beings who are worthy of respect. Changing words because "not all children know their parents" wasn't about being PC - it simply allowed more kids to get the message. Reframing statements away from good versus bad helped children develop critical thinking skills. And emphasising the "why" of doing things gave them a richer inner voice. Decades ago, Mister Rogers got the words right. I'm glad we're still listening. you want to know how genuinely nice this man is read this. warning you might possibly cry.